Our chickens are now 26 weeks old and ready to start laying eggs. On Monday, we were very excited to find the first egg. To celebrate the occasion, Upper Foundation class were involved in boiling the egg for three and a half minutes. The presented the egg, along with some soldiers, to Mr Fenton. 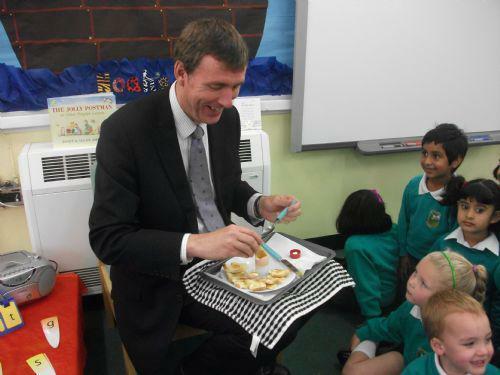 The children laughed and giggled as Mr Fenton and Mrs Ward ate the egg.